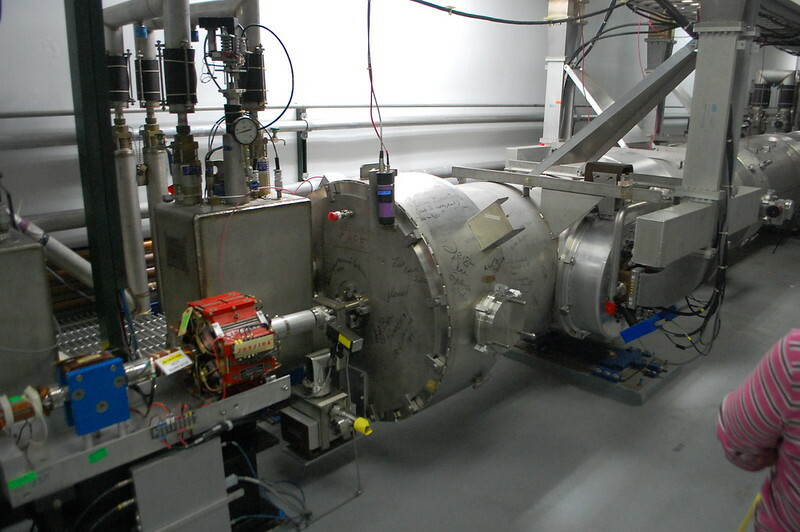 The big linear accelerator at SLAC is upgrading. The interesting thing is that they are using technology that I’m familiar with, the superconducting radiocavity. These cavities were first used at Jefferson Lab in Virginia where I worked for two years. They actually a very interesting use of extreme cryogenics, high intensity microwaves and exotic materials and mechanical technologies. Climate Feedback works like this: Using the new web-annotation platform Hypothesis, scientists verify facts and annotate online climate articles, layering their insights and comments on top of the original story. They then issue a “5-star” rating so readers can quickly judge stories’ scientific credibility. Recognized by NASA, the UN Framework Convention on Climate Change and California Gov. Jerry Brown among others, Climate Feedback is already improving journalistic standards by flagging misreported climate science in mainstream outlets; earlier this month, for example, scientists took apart Bjorn Lomborg’s misleading op-ed in the Wall Street Journal. This is only a hint of what Climate Feedback has in store as it begins to aggregate those credibility scores into a wider index, rating major news sources on their reporting of climate change as part of a new Scientific Trust Tracker. To that end, Climate Feedback is launching a crowd funding campaign on April 27 around the hashtag #StandWithScience, supported by leading climate minds like Profs. Michael Mann, Naomi Oreskes and others. I invite you to take a look at this sneak preview of our campaign (NOTE: please do not share publicly before April 27). The Exxon climate scandal has already made its way into the 2016 election season, but few have discussed the role the media has played enabling corporate interests to sow doubt about the science of climate change, which has long confused the public and undermined political support for dealing with the issue. As 350.org founder Bill McKibben said of Climate Feedback: Scientists are just about ready to come out of the lab and get more active and when they do, it will make a remarkable difference. Here’s the way that they are going. The pro AGW articles get good scores and skeptical articles get downchecked. If nothing else it shows how politicized other sciences other than climatology are. Considering that these people are scientists, or at least sitting scientist positions, one would think that data would override opinion. But looking at the comments, I see more personal attacks and unsupported opinions than I see any real data. This is not atypical from the climate crowd. Rather than present scientific arguments the climate crowd insists on attacking strawmen, smearing the other side and changing the subject when pressed. What noticeably absent is references to real science that has data and experiments to back up their hypotheses. You can predict all you want, but, in the end, for you to be actually doing science and not acting like a cult, the predictions must fit the data collected. It’s pretty obvious that, when it comes to climate, the data hasn’t gone the same way as the predictions made by the computer models. In real science the knowledge that a model doesn’t fit the data means that you need new models. In climate science it means that you persecute the people pointing out that the models aren’t working. That’s because like all romantics the climate crowd wants reality to be what they say it is, not what it really is. But that doesn’t change the fact that there are more polar bears than ever, the ice hasn’t gone away in the arctic and it’s cold today in early May. None of which has any relevance to climate, but that never stops the climate cultists. but their climate cargo cult only continues to exist because it’s useful to those who want still more power over everybody’s life. From the beginning the environmental movement has been a mishmash of cargo cult science sounding stuff, romantic idealism and an attempt to revive dead ideologies with a new focus. The cultish aspect of CAGW can be seen by the desperate need to suppress any opposing viewpoints. Add to that the desire of many to use climate science as an excuse to obtain vast powers and wealth from the rest of us through rent seeking on a truly massive scale and this isn’t science, it’s tyranny. Real science doesn’t need webpages like climate feedback. Real science can stand on it’s own and indeed invites dissension and healthy skepticism. That’s because real science isn’t an end it’s a journey and no matter how well thought a theory is it can still be found wrong by new data. Here’s Richard Feynman about how science works. If the guess, no matter how beautiful it seems, doesn’t match observed data it’s wrong. Well the climate models do not fir the known data. Sanity and science would say that that means that they are wrong, end of story. As far as the climate feedback types are concerned that means that the data is wrong simply because you are attacking the cult’s precepts. The consequences of their behavior are devastating for science, policy and millions of individuals who are the victims of the policies enacted as result of the climate cult’s actions and the rent seeking control freaks who use them. I stand with science, not the actions of a greedy misguided cult. This has been in the works since the late 1990’s. They finally got there.